TAMPA, FL – The PTI Baseball Maniacs travel ball programs all traveled this weekend to compete in their age groups. The 18U and 16U traveled to Port Charlotte to compete in Pro Style Tournament Showcases while the 8U traveled to Orlando to play in the Nations Orlando event. 8U Maniacs continue to take steps in the right direction. For several tournaments in a row these 7 year old’s have shown excellent improvements learning about cutoffs, being balanced at the plate and putting great swings on the baseball. Putting up 15 runs in ORLANDO this past weekend, was a great team execution offensively. Darian Lopez and Joe Fredman drove in 5 runs with nice triples, and clutch hitting by Jovani Gonzalez, Brielle Bitz, Hastin Muscato, Chance Simpson, and Parker Lambropoulos who all contributed with runs batted in. Darian Lopez and Parker Lambropoulos were named co-Defensive players of the week for making excellent catches and combining for 2 double plays. Jovani Gonzalez and Carter Simpson were tough defenders throughout the event taking impacts and making plays. Little Maniacs will continue the fall fun as they will close out the Fall fun season with a Nations Championship in Orlando and a USSSA Championship in Sarasota. The 16U High School Showcase team battled their way to another strong performance offensively. In 3 games, the team posted a total of 26 runs on 25 hits. Tyler Robinett had himself a weekend earning himself the player of the week recognition as he tossed a complete game win allowing just 1 earned run and striking out 10 total batters. He would also go 5 for 9 offensively scoring 3 runs while driving in 2 including a double. Alexis Ocasio was also very good offensively going 4 for 10 scoring 5 total runs while Will Allred went 3 for 7 with 2 runs and 2 RBI’s. 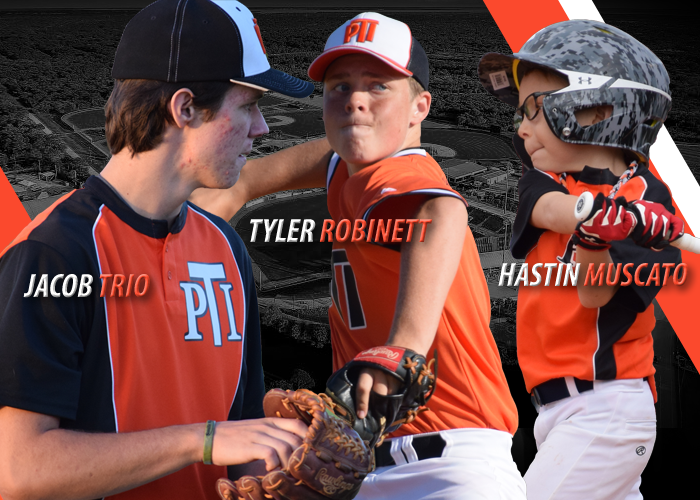 The Team continues to improve and showcase in great events such as the Pro Style Tournament Showcase that was held over the weekend at the Tampa Bay Rays Spring Training Complex in Port Charlotte, Florida. The High School Showcase team will fight once again next weekend as they will look to continue their work in St. Petersburgh. The 18U College prep team had a very good performance by Utility player and infielder Jacob Trio who tripled and drove in most of the teams runs over the weekend in Port Charlotte. Keegan Evans was a big contributor as well joining teammate Shane Hughes who continues to perform on the mound. The College prep team has now played 3 weekend showcases in a row and will be taking a weekend off to regroup and get back to work prior to thanksgiving break.